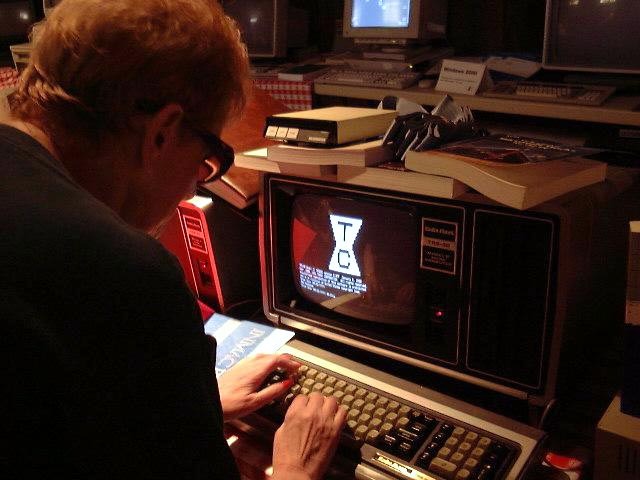 Ruth purchased this TRS-80 Model II in 1982 for almost $4,000, quite a tidy little sum for a computer with all of 64k of memory, 8" disks that stored 64k of data, and no hard drive. Add to this the cost of an additional dual-drive system at $1,700, and the Model II became twice as pricey as the souped-up computer she uses today. 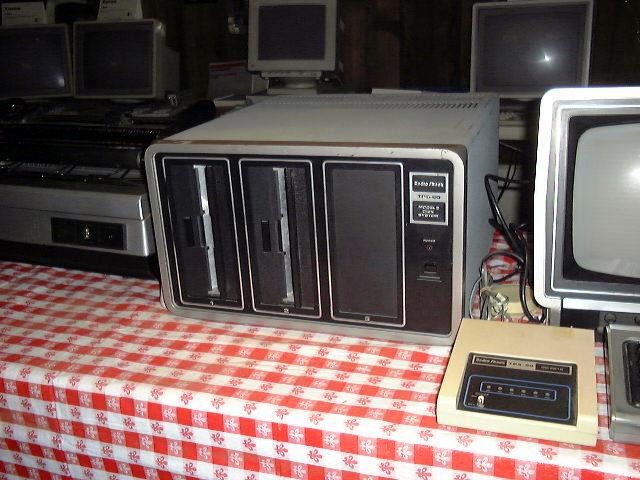 The Model II was one of the first computers to move away from tape storage to disk storage. 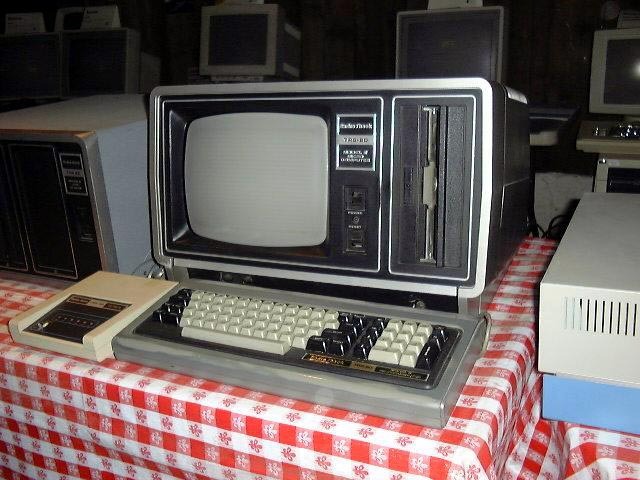 Radio Shack called it their "Big Business Computer" when it made its debut in the early 1980's. 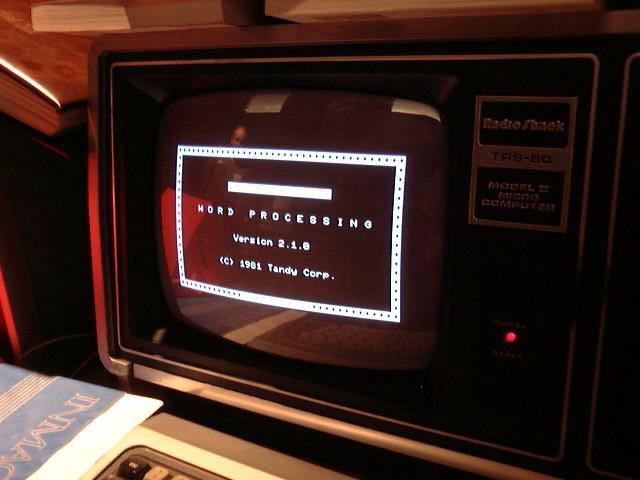 It ran on either TRSDOS (Tandy Radio Shack Disk Operating System) or CP/M (Control Program/Microprocessor, which many thought would become an industry standard). The screen resolution was incredibly good, with smoothly rounded yellow characters against a dark gray background. With Radio Shack's neat little Scripsit word processing program Ruth managed to write eight computer books published by Microsoft Press, Howard W. Sams, Hayden Books, and John Wiley & Sons. These books gave readers hands-on instruction in working with productivity software including Microsoft Multiplan, Microsoft Works, AppleWorks, and Microsoft Excel. She worked in both the PC and Apple platforms, with several computers running at one time in what her children called, "The Mole Hole," her basement. Ruth was the "AppleWorks in Action" columnist for inCider/A+ for eight years and created their AppleWorks templates. The magazine was a powerful force in the Apple II community until its demise in 1993, a casualty of Apple's decision to do away with the Apple II in favor of the Mac. 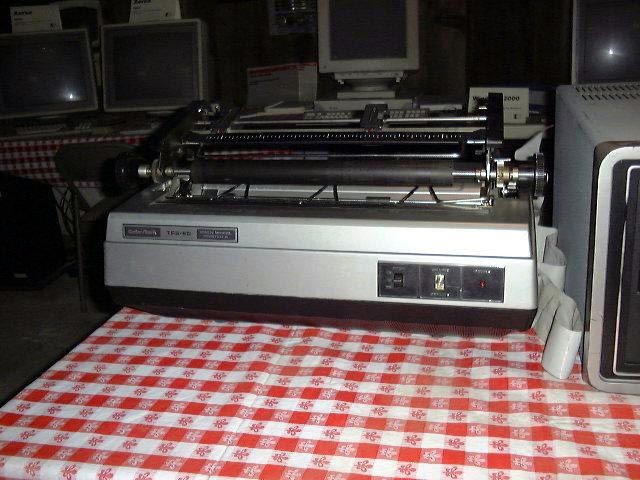 She wrote over 100 columns for inCider/A+ and other magazines, including Business Software, on this Model II. Ruth says she is thrilled that her Model II has found a home in this wonderful museum where many people can see it and delight in its quaintness and history. 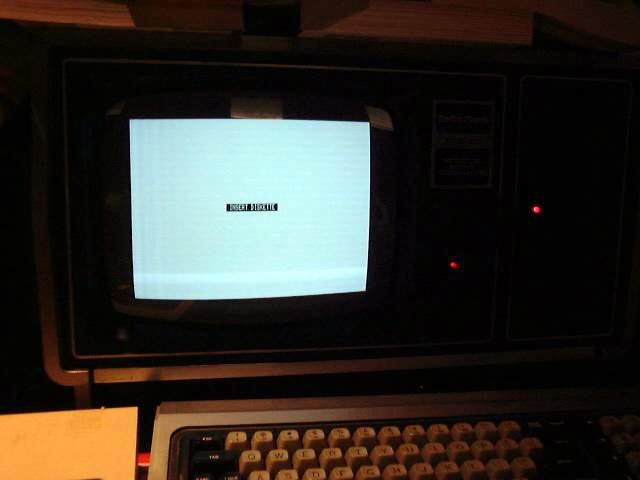 Tandy's official announcement of the Model II came via the "Radio Shack, Microcomputer Newsletter July 1979 issue. 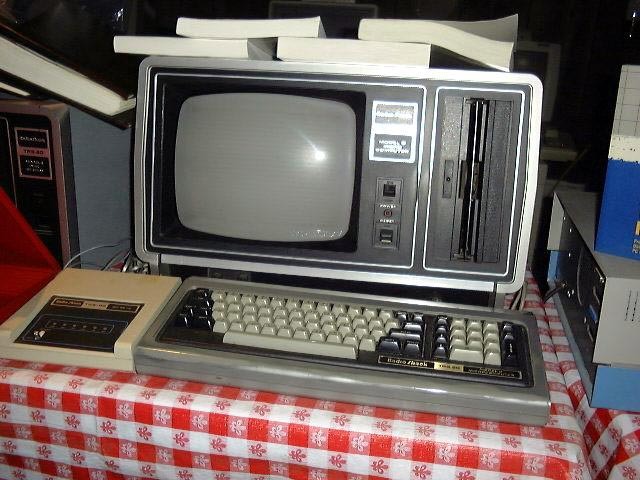 The bold headlines read , "The New TRS-80 Model II is Here!" The following is a quote from that article. 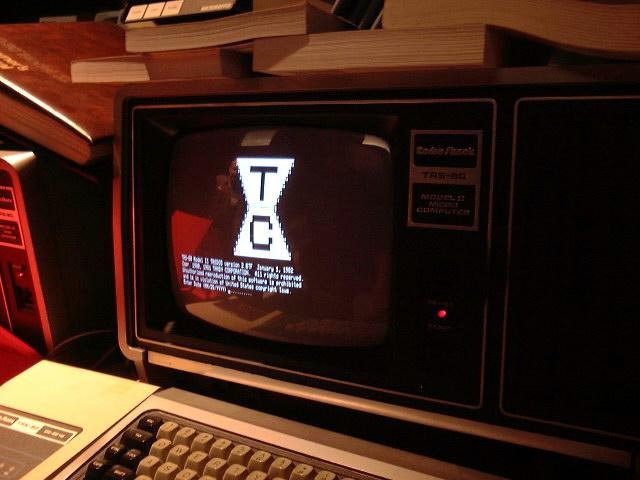 "The TRS-80 Model 11 is a microcomputer system specifically designed for the small business environment. 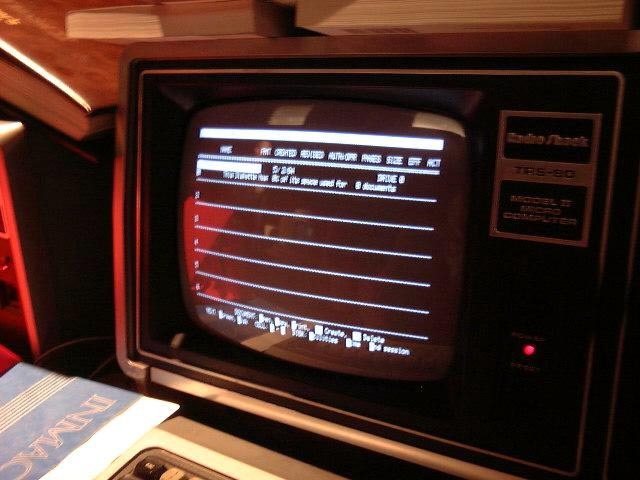 It operates at twice the speed of the TRS-80 Model I and has disk storage space expandable up to almost two million bytes. Database oriented applications such as integrated accounting systems, inventory control systems and order entry systems are ideal application areas for the Model II." Our pictures here of Ruth and her family visiting the DigiBarn.